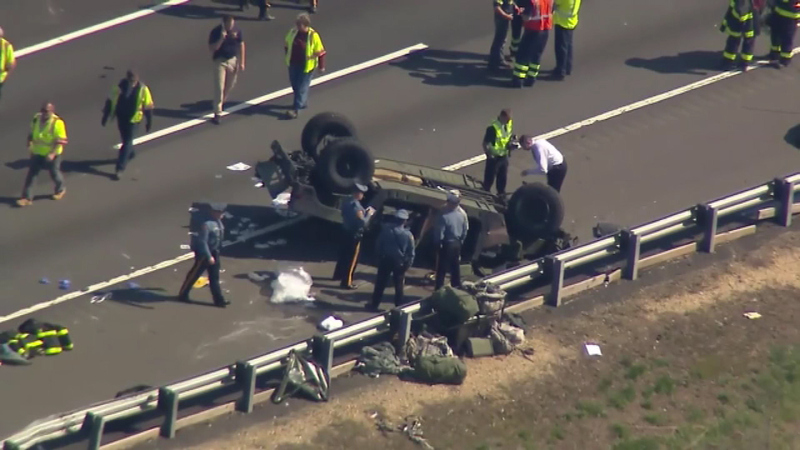 SOUTH BRUNSWICK, New Jersey (WABC) -- Four Army Reserve soldiers were seriously injured Thursday when their Humvee overturned on the New Jersey Turnpike in South Brunswick. The Humvee was part of a two-vehicle caravan southbound. The other vehicle was not involved in the crash, and the servicemen in that vehicle pulled over to help. A female soldier was most seriously hurt, suffering an amputated leg. Three other soldiers, all men, were trapped under the Humvee. 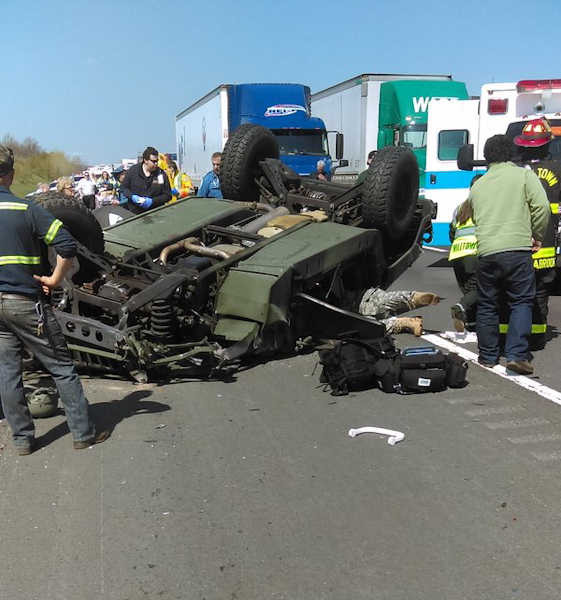 The soldiers in the other vehicle, a pickup truck, jacked up the overturned Humvee to pull three of the soldiers out. Two of the men were taken away on stretchers. They appeared to be alert and conscious. One had a deep gash on his head. The third male solider was walking around, dazed but not seriously hurt. As of Friday morning, Sgt. Theodore Jackson, is in critical condition; Spc. Marcos Santana, is in serious condition; and Sgt. Gedry Concepcion, is in good condition. The fourth soldier's name and medical condition have not been released pending family permission. They were taken to Robert Wood Johnson University Hospital in New Brunswick for treatment. It appeared a tire came off of the Humvee, causing the driver to lose control and the vehicle to overturn. The tire was about 40 feet from the overturned vehicle. It is not immediately known where the soldiers were going, but there is a major base, Joint Base McGuire-Fort Dix in Lakehurst south of the crash. All southbound lanes of the Turnpike were shut down just north of Interchange 8A in the area of milepost 74.9. Traffic backed up for miles. the turnpike had fully reopened by Friday morning rush hour. 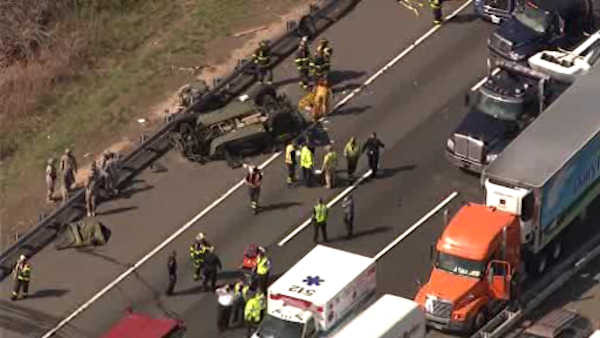 The Army Reservists in the vehicle were from the 533rd Brigade Support Battalion at Fort Totten in Bayside, Queens.